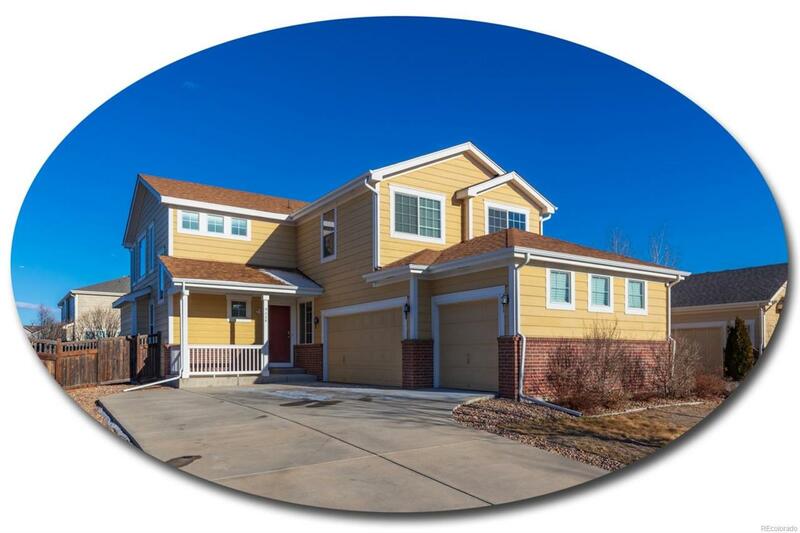 Fantastic two-story in the desirable Brighton Crossing community w/ 3 beds & plenty of space! Spacious & bright, the open living space offers soaring two-story ceilings, an accommodating layout & effortless flow. New carpet throughout. The comfortable living room maintains a cozy fireplace, entertainment niche & tremendous surrounding windows. The dine-in kitchen presents beautiful 42 maple cabinetry, stainless appliances, a center-island & gleaming hardwoods. Also on the main is the formal dining room, powder room & laundry. Upstairs, find 3 generous bedrooms including the vaulted master w/ a 5-piece en suite & walk-in closet. The 2 secondary beds share the full hall bath. Attached 3-car garage. Rest easy w/ a new roof. Incredible Brighton Crossing community w/ a private rec center & pool, dog park & sports field. Coming summer 2019, enjoy the new Venture Center & Water Park! Superb location, close to several parks, I-76, Barr Lake State Park & Reservoir & DIA! Offered by The Steller Group, Inc.